Express Employment Professionals is a network of employment agencies that assists in connecting people with companies. We are a business-to-business sales franchise and sales experience is required. New owners generate an average of $138,500 in revenue each month by the 12th month of operation and $173,900 in monthly revenue by their 24th month. *For territories open more than sixty months, average sales in 2016 were $6,266,483. First-year offices averaged $1,016,560 according to Item 19 in the Express Franchise Disclosure Document. 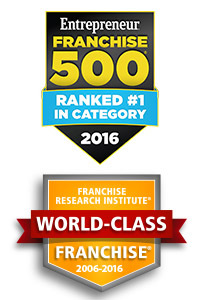 Express Employment Professionals is listed in the Franchise Directory under the Business Services category. It's also listed in the section for Franchises Under $300,000.